Cadillac sales have fallen from 235,002 units in 2005 to just 156,440 units last year. The decline is a result of multiple different issues, but one of the key problems facing the automaker is a lack of crossovers. Cadillac’s only crossover is the XT5 and it is responsible for the majority of the brand’s sales in the United States. Last year alone, the company sold 68,312 units which means the XT5 outsold the ATS, CTS, CT6 and XTS combined. 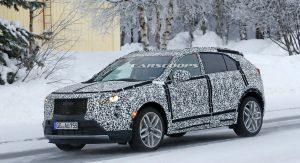 Cadillac is well aware of the issue and is planning to fill the crossover gap with the all-new XT4 which will be unveiled at the New York Auto Show later this month. 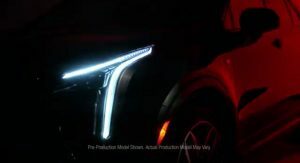 The model will go on sale this fall and feature a design heavily inspired by its larger brother. 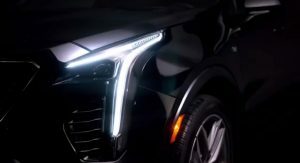 Cadillac has only given us a few glimpses of the model but it will feature a familiar front fascia with a prominent grille that is flanked by LED-infused headlights with vertical accents. 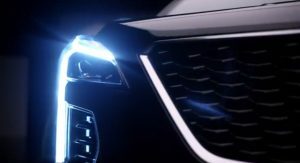 The crossover will also have triangular air intakes and a sculpted hood. 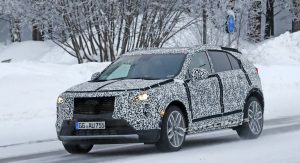 The greenhouse will echo the XT5 but the smaller model will have more angular shoulders and sharper character lines. 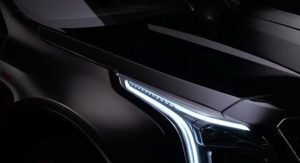 The XT4 will also have door-mounted mirrors, L-shaped LED taillights and Cadillac badges on the front fenders. Cadillac interiors have always been a bit of mixed bag but the company has been making progress in recent years. 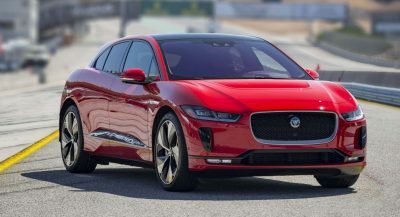 However, not all of the changes have been welcome as consumers have complained about material quality, finicky switchgear and the CUE infotainment system. 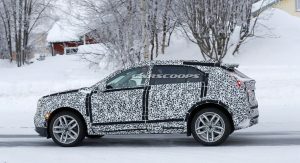 The XT4 will attempt to address a number of these issues as spy photos have shown the cabin will come with an assortment of psychical buttons to control everything from the heated and ventilated seats to the climate control system. 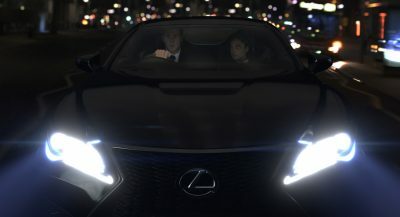 The pictures also suggested the infotainment system will be getting an iDrive-like controller and an NFC touchpoint will be added beneath the screen to make pairing a smartphone a breeze. 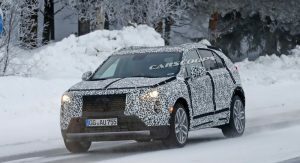 What powertrains will be available on the XT4? 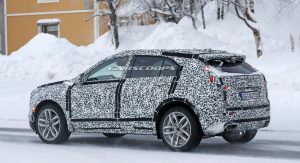 Speculation suggests the entry-level model will be powered by a turbocharged 2.0-liter four-cylinder that could produce up to 275 hp (205 kW). 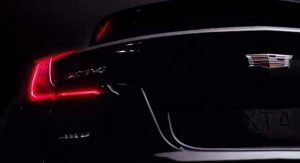 The engine will likely be paired to nine-speed automatic transmission which can be backed up by an optional all-wheel drive system. 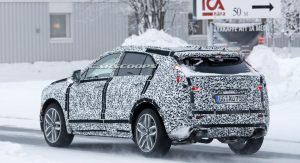 De Nysschen has also suggested we can expect more V- and V-Sport variants in the future and the XT4 could be a possible candidate. Nothing is official but Audi, BMW and Mercedes offer high-performance versions of their crossovers and they make a pretty tidy profit on them too. 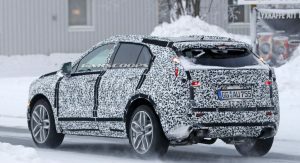 While it remains to be seen if there will be an XT4-V or XT4 V-Sport, a plug-in hybrid variant is a sure thing. 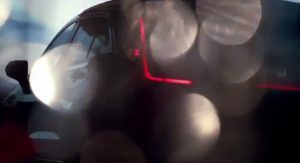 The eco-friendly model has been spied undergoing testing on multiple occasions and it should offer drivers the option to travel on electricity for short distances. 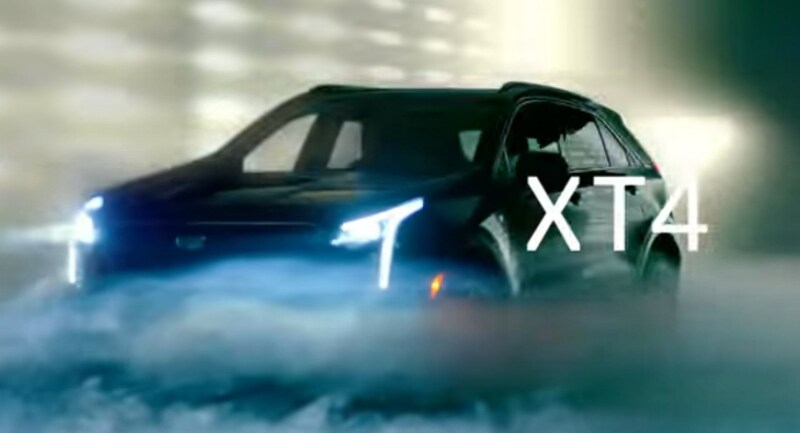 The XT4 will be built at the Fairfax Assembly Plant in Kansas City, Kansas and reports have suggested the model will use “similar underpinnings” as the Chevrolet Malibu. 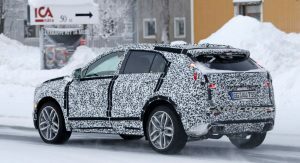 If the reports are correct, the model will likely ride on a shortened version of the C1XX architecture which underpins models under such as the XT5 and GMC Acadia. I’m sold. What will it cost me? 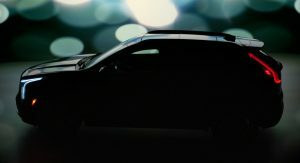 Pricing will be announced closer to the model’s launch but we expect the XT4 to start in the mid $30,000 range. This is such a dumb way to roll out. 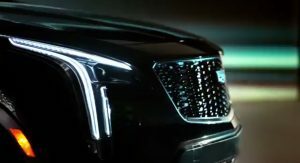 Hyping everyone up over shadowed pictures and camo never turns out well for Cadillac. They should stop doing this and either show it or don’t show it because it’s bound to be lackluster. Almost like watching a balloon deflate slowly…you have such high hopes, then, nothing. Yes I do. The BMW Z4 has been “strategically” spotted in camouflage for over a year. Haven’t even seen the real thing and already sick of it. 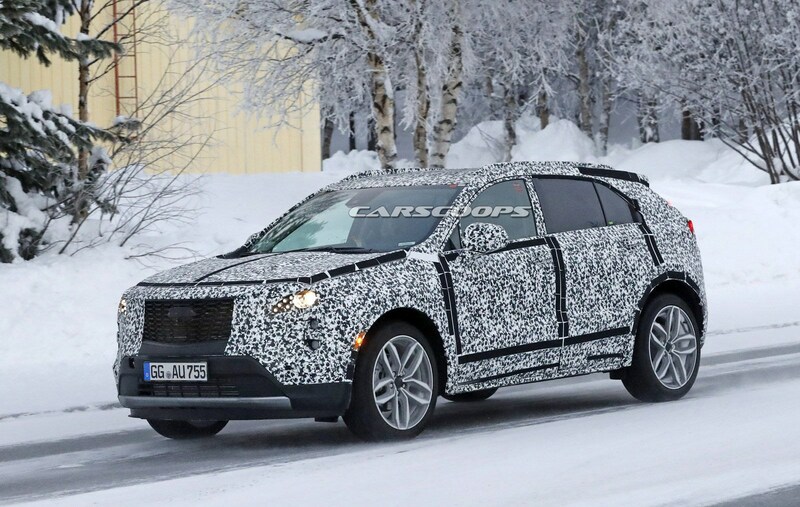 Spy shots in camo leaves the design up to ones imagination which is why there’s a bit of disappointment when the car is finally revealed to be less than imagined. If I’m watching a balloon deflate, I think the ‘high hopes’ ship probably sailed long before. Need to follow the strategy of the Koreans. Sell vehicles of similar quality than the luxury German vehicles for less money, or better yet, for similar money with more value. Let the costumer buy their vehicles based on value proposition, and let the world know that their vehicles are as nice as the Germans. Do this for 10-15 years, until the new generation of costumers accept the name plate. Problems is, the Americans cannot adhere to such long-term commitments. Is either here and now, or shut down the division. Luxury is not a value proposition, and you cannot sell a luxury car on the cheap. All it will do is cause an initial spike in demand that quickly deflates and dies. Just look at the Lincoln Continental. 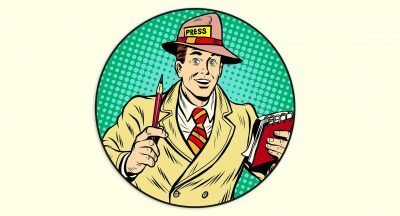 The ‘the strategy of the Koreans’ should be more like Genesis, but not like Kia. Cadillac needs exclusive and expensive cars that are highly desirable, not low-price, cut-rate, down-market, 2nd tier luxury cars. That’s not what any luxury product should be, least of not a Cadillac. I said before that many Americans have been unfortunately raised on the idea that undercutting price is okay if the result is high volume of sales. That’s not acceptable for luxury cars because having an over-supply of luxury cars available is the exact opposite of what having a luxury product is. It’s supposed to be hard to get; it supposed to be expensive and built to better standards. Undercutting the Germans, the Japanese, and the Koreans will turn Cadillac into just another Lincoln. 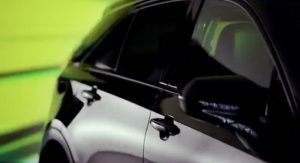 Cadillac has been undercutting the Germans (well, MB and BMW) with its sedans, but as stated above, compromised that with cramped and lower-end interiors. 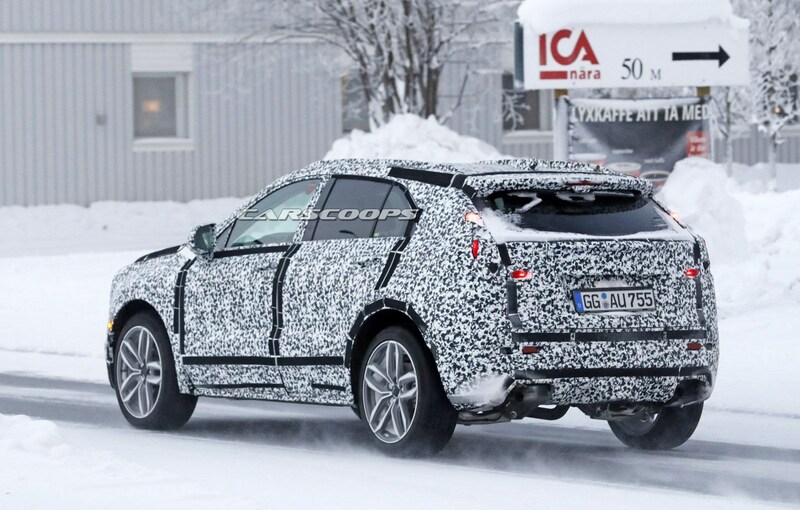 For its crossovers, Cadillac is following the same route as Lexus, Acura and nowadays Infiniti – going with FWD platforms shared with its “lesser” corporate sibling – and hence, brings more value (lower price/more interior room) to the equation compared to the RWD Germans. Well, that’s the same strategy that the Japanese have done as well, and one that Cadillac had been doing. 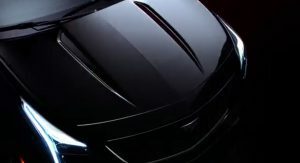 The problem is that while Cadillac has priced its sedan offerings lower than the German RWD competition (altho, their lease rates could be better, but JdN clamped down on offering better leases), the “value proposition” was compromised when the ATS and CTS offered significantly less passenger room than the competition and the interiors weren’t quite up to snuff. Why would they do that when the brand saw its second highest global sales in their 115 year history? Americans with all their pharisaical patriotism may be too slow to realize Cadillacs cars are on par with the competition but not so for the rest of the world, or so it seems. 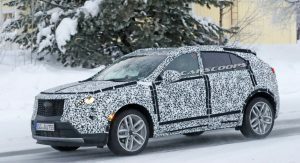 More likely, it’ll follow the success of the XT5 (which is the 2nd best selling model in the luxury segment after the Lexus RX). Likely will be a 3-way battle between the NX and new RDX and the XT4 for sales in the FWD compact CUV segment. Im not sure I would consider a 15.5% global sales increase in one year a “flop”. 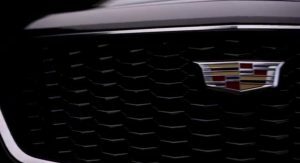 Nor would I consider Cadillac having its second-highest sales record in the brands 115 year history a “flop”. Americans may have turned their back on Detroit regardless of how good, or better in most cases, their cars are, but it seems the rest of the world has taken notice.